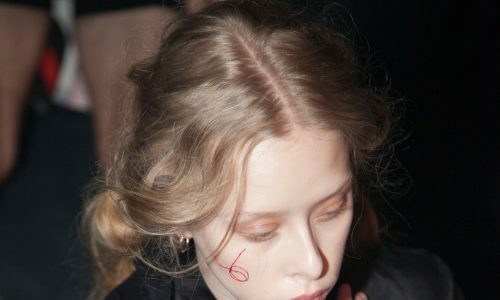 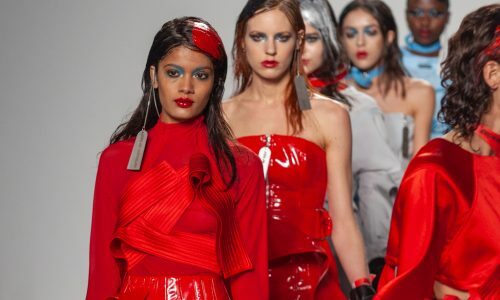 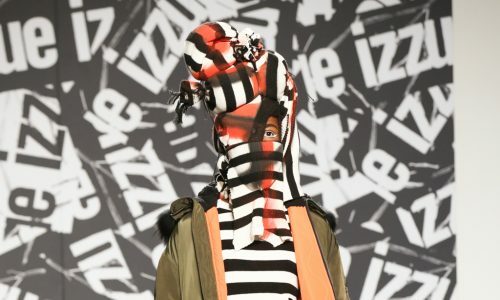 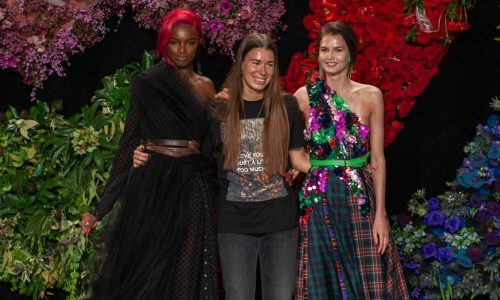 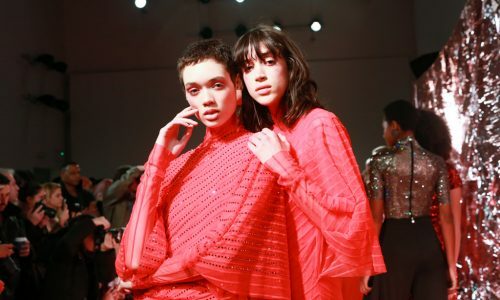 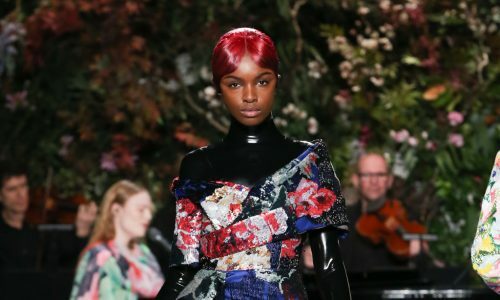 Marta Jakubowski’s new spring/summer 2019 collection, showcased at the BFC Showspace, was bursting with the mischievous charm of teenage rebellion. 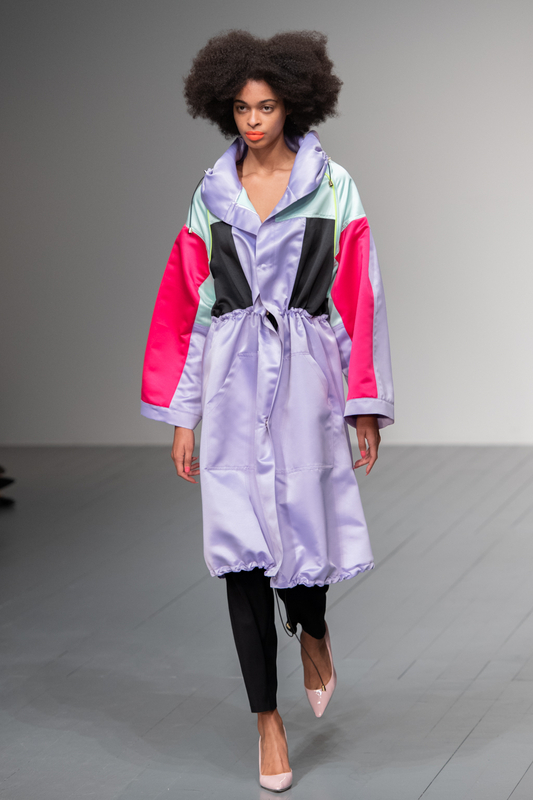 Based on memories of the designer’s adolescence, the nostalgic garments were brought to life by the designer’s playful aesthetic. 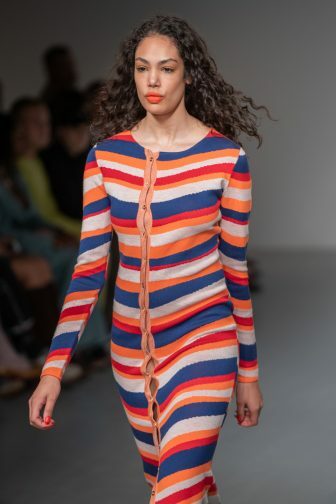 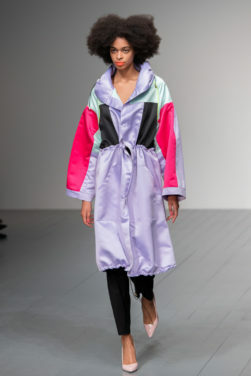 Vibrant horizontal stripes adorned figure-hugging dresses and separates, while fuorescent colour combinations were a delightful ode to decades past, the standout example being a neon parachute parka. 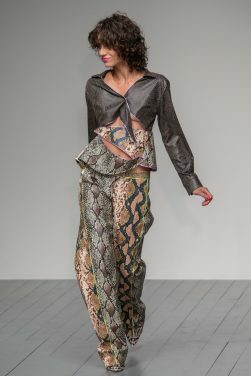 Cut out sections exposed bare flesh from the torso down to the legs on many of the garments, giving us a preview that showed cheek in more ways than one. 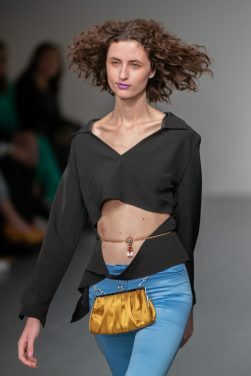 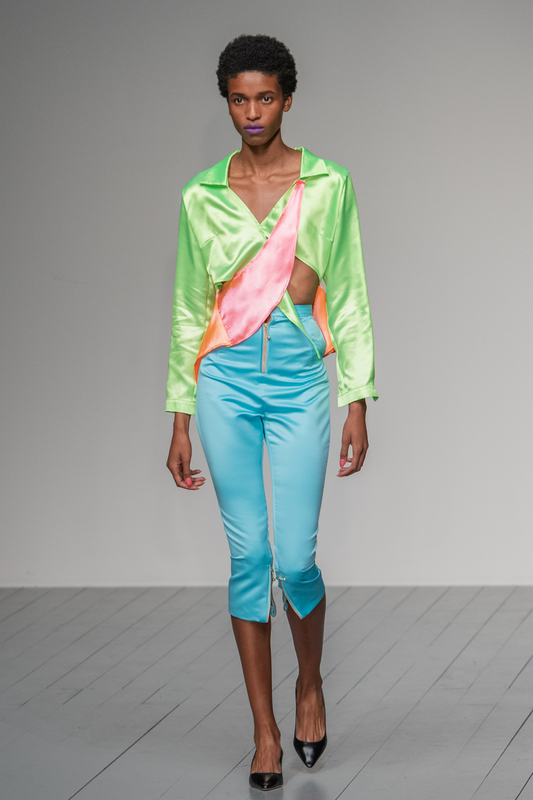 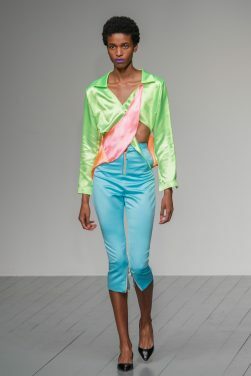 Jakubowski’s “chic raving gear”, inspired by recent trips to Ibiza, featured baggy shirts in popping pink and lime green, lifted by navel piercings – representing every parent’s nightmare – and sparkling body jewellery. 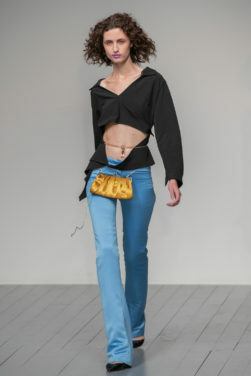 Low-slung and tight trousers provided a fun twist on casual wear. 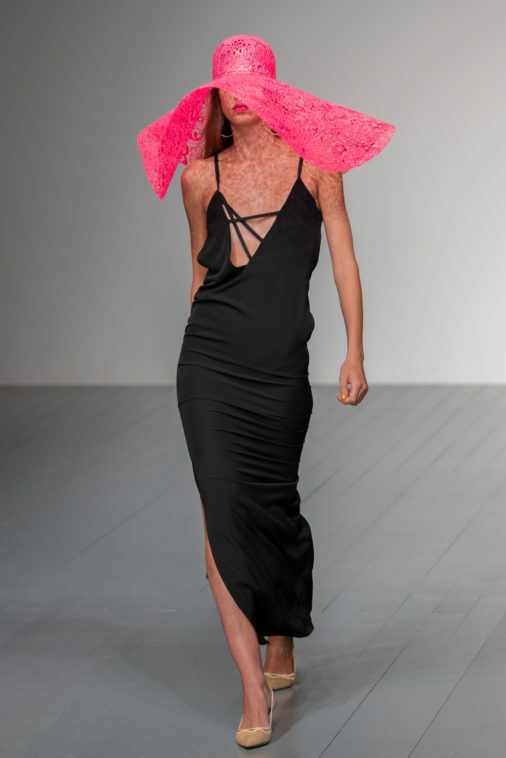 The collection as a whole resonated with feminine power. 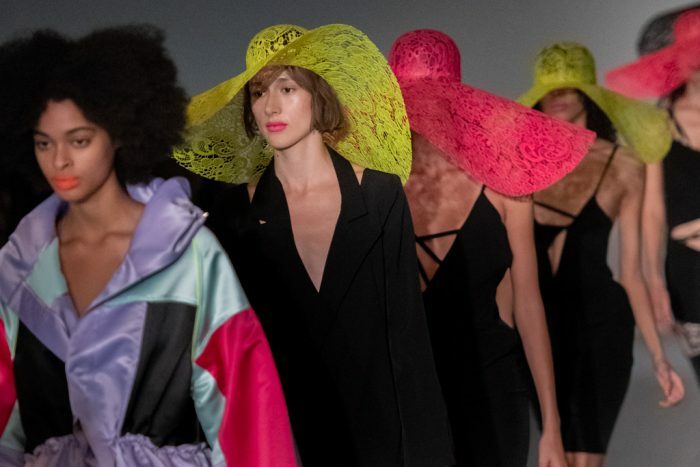 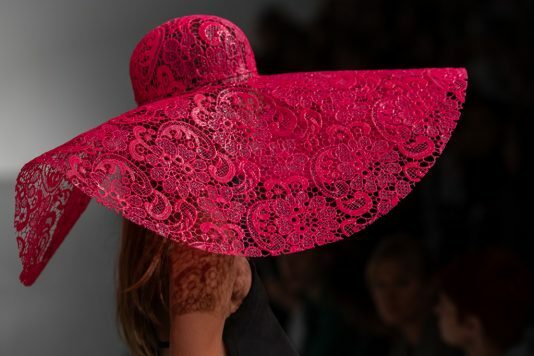 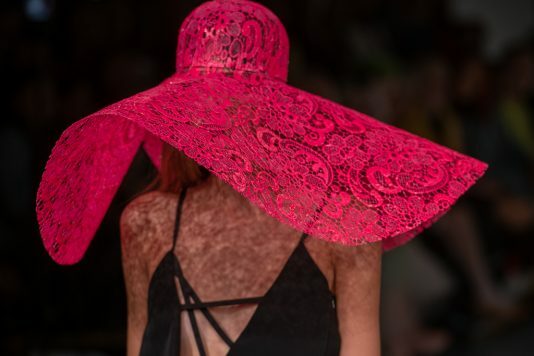 In particular, a series of sleek and strappy black dresses offered classy and confident evening wear, cut with elegant low backs and complimented by luxuriously wide-brimmed hats. 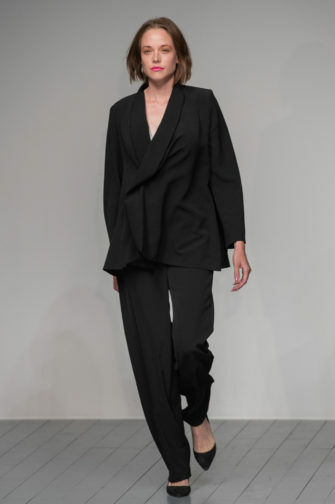 One of the most striking pieces paired together a broad-shouldered, masculine suit with a tight, shapely corset. 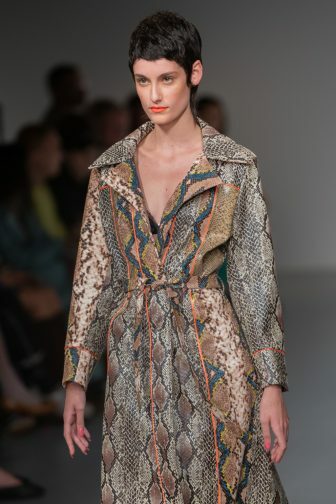 Another standout item was a longline patchwork snakeskin coat, its rich textured patterns a bold celebration of the audacious. 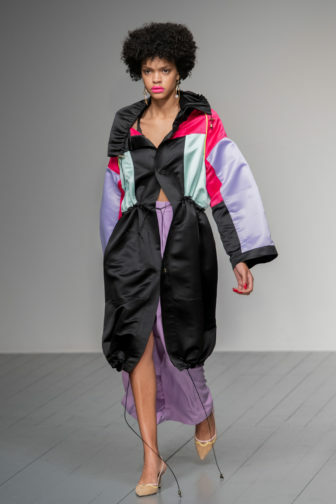 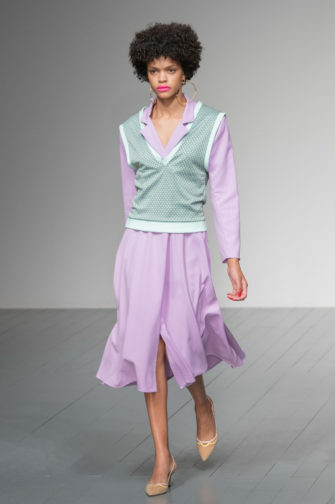 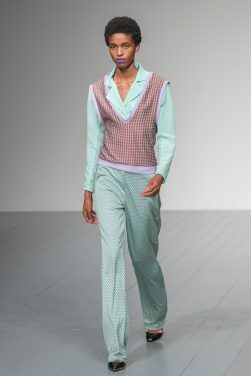 Jakubowski’s collection perfectly balanced brash, carefree clubwear with sophisticated, slinky style, offering a blast from the past with a distinctly contemporary appeal.